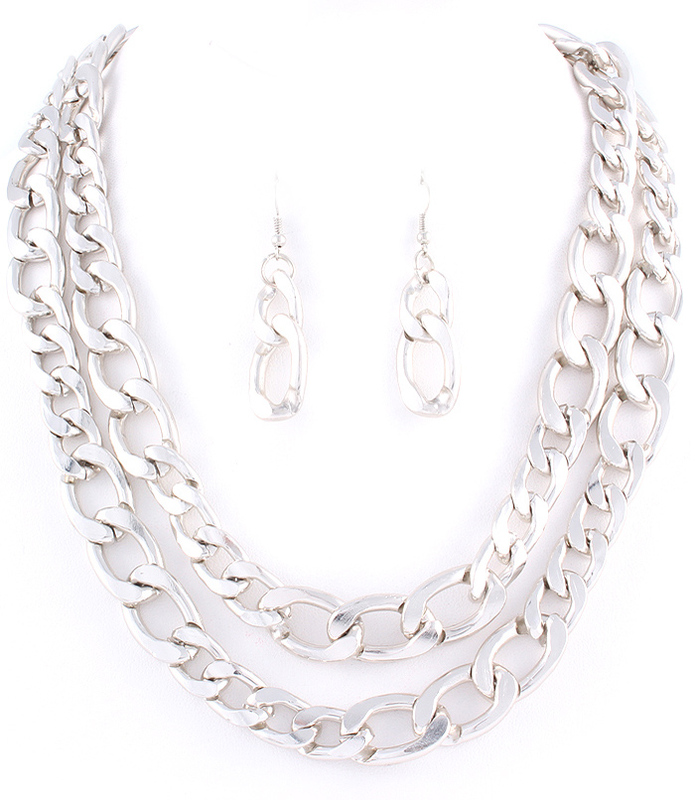 Cora silver tone chain necklace features solid and smooth chunky links in two rows. The earrings have got two pending links each. Wear it for an extravagant and chic office look. Buy from the hottest range of online necklaces for women right here at Oz Bling.